All accessories is made of laser cutting , to ensure them more precise and beautiful . It could stand 36m/s roughly 12 class typhoone if you install them closely . or it is 15-20 days if the goods are not in stock, it is according to quantity. 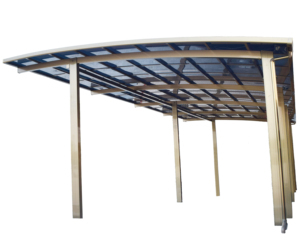 Unlike most structures a carport does not have four walls, and usually has one or two. 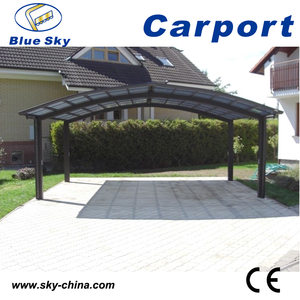 The term "carport" comes from the French term "porte-coch&egrave;re", referring to a covered portal. These storage facilities are either metal or brick structures used to store streetcars or buses away from the elements. 11'x16' hot sale low cost portable steel carport No pole inside, 100% interior space is available Factory manufacture and supply directly hot sale low cost portable steel carport Product information of 11'x16' hot sale low cost portable steel carport Product hot sale low cost portable steel carport Item No. 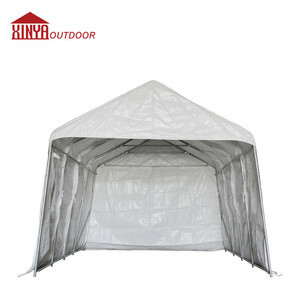 Weight: 71kgs/68kgs Loadability: 40ft/310units Window: Clear windows at both sides Door: Sliding doors at both ends Door: Doors at both ends Application: Shelter your vehicles, belongs or front entrance from snow, ice and wind. 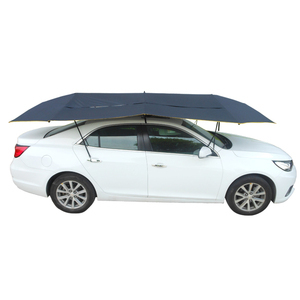 Feature: Most popular model in Canada, spaciously designed for one car Installation: Easy to install, about 2 hours for 2 people. UV Solid Polycarbonate Sheet for canopy tent/car garage tents could prevent the strongest part of the sun's rays through, so transfer the light into soft. UV Solid Polycarbonate Sheet for canopy tent/car garage tents will be covered with PP twinwall sheet, PE film and bundle. 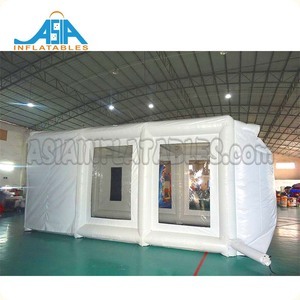 UV Solid Polycarbonate Sheet for canopy tent/car garage tents will be covered with PE film. Applicable Environment: Driveway, Parking Area, Garden, Bus Station, Overpass cover, Kids Playground, BBQ spot, Outdoor kitchen, etc. Packaging & Shipping Package and Shipment: Package: Well Packed with EPE Foam, and double packed with advanced carton to prevent products from damaging during the transportation. Shipping: We suggest express or air transportation for sample order, and by sea for quantity order. 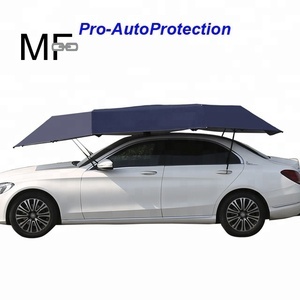 Alibaba.com offers 1,401 one car carport products. About 25% of these are garages, canopies & carports, 5% are prefab houses. A wide variety of one car carport options are available to you, such as free samples, paid samples. 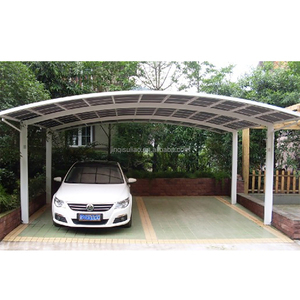 There are 1,322 one car carport suppliers, mainly located in Asia. 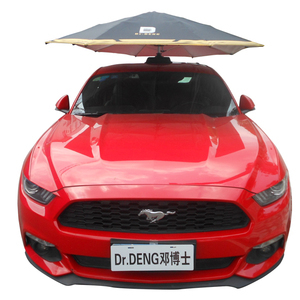 The top supplying countries are China (Mainland), United Arab Emirates, and Taiwan, which supply 99%, 1%, and 1% of one car carport respectively. 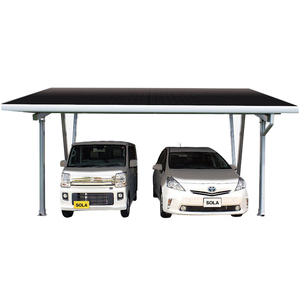 One car carport products are most popular in Eastern Asia, Mid East, and South Asia. 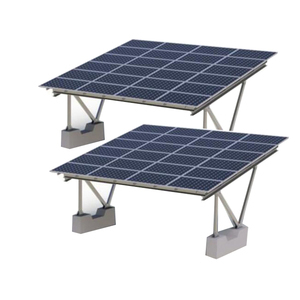 You can ensure product safety by selecting from certified suppliers, including 213 with ISO9001, 80 with OHSAS18001, and 80 with ISO14001 certification.